As dusk settled over the highlands of Guatemala, Mattea Fleischner sipped freshly roasted coffee, grown a few hundred meters below at Finca San Jose. The meticulously brewed beverage—prepared with sugar, no cream—served as a warm reminder of the power of coffee trees. While visiting the farm and home of second-generation coffee producer Catalina Pacheco, the Starbucks Global Social Impact manager learned about the family’s renewed hope for the future of their farm. In the past, Pacheco’s grandson Kevin wasn’t sure if he wanted to take over their coffee farm, which spans 16 hectares in Nueva Santa Rosa. He had seen firsthand the threats facing the industry, including the devastating effects of coffee leaf rust in Central America. Kevin could have joined a growing number of young, potential farmers who are instead searching for opportunities outside of coffee. But last July, his family received more than 5,790 coffee leaf rust-resistant tree seedlings through Starbucks One Tree for Every Bag Commitment*. Now, Kevin sees a future in coffee and proudly plans to take over the farm one day. Kevin (right) with his grandfather, Carlos Lima, on the family’s coffee farm. “You can see two generations and what this tree has meant for them and will mean for them in the future,” Fleischner said. Pacheco is one of more than 5,700 coffee farmers who have received new trees through our commitment. Since the program launched in September 2015, Starbucks has donated enough funds to plant 25 million rust-resistant coffee trees, 10 million of which have already been distributed to farmers in El Salvador, Guatemala and Mexico. Last October, Fleischner traveled to Guatemala and El Salvador with Conservation International to visit with dozens of farmers like Pacheco and ensure the One Tree for Every Bag program safeguards were being met. Among the world’s coffee-producing countries, there’s a significant need for healthy coffee trees. The reasons behind the need are as varied as the countries themselves. A warmer climate is intensifying problems like diseases and pests that attack coffee trees. Coffee producers are also grappling with changes in weather patterns. In some cases, farmers are preemptively planting more resilient coffee tree varietals in anticipation of the effects of climate change. Other times, farmers want to take advantage of advancements in agronomy research, like the development of more productive varieties. 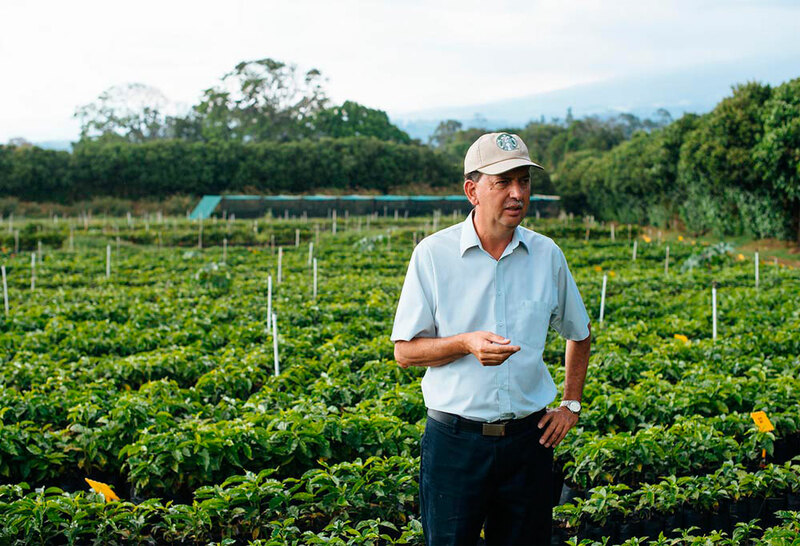 Carlos Mario Rodriguez, Starbucks director of Global Agronomy, stands in the coffee nursery at Hacienda Alsacia, our coffee farm in Costa Rica. He and his team continue to develop new rust-resistant hybrids and growing techniques to share across the global network of Farmer Support Centers. Another issue: Older coffee trees are nearing the end of their coffee-producing life cycle, around 25 years old with proper maintenance and care. Impacted farmers now face the task of renovating their land. Without enough healthy, productive coffee trees, the economic future of 25 million coffee farmers like Pacheco and the long-term supply of high-quality coffee are at stake. Consider the estimate that if you drink one 12-ounce cup of coffee every day, it could take at least 12 coffee trees to produce your coffee for a year. That’s why we’re building on the Starbucks One Tree for Every Bag initiative. Today, Starbucks announced it will make sure 100 million healthy coffee trees get into the hands of coffee farmers that need them by 2025. Having already built a successful tree distribution network and as one of the largest purchasers of arabicacoffee, Starbucks can now integrate the purchase of healthy, rust-resistant coffee trees into our green coffee buying program. 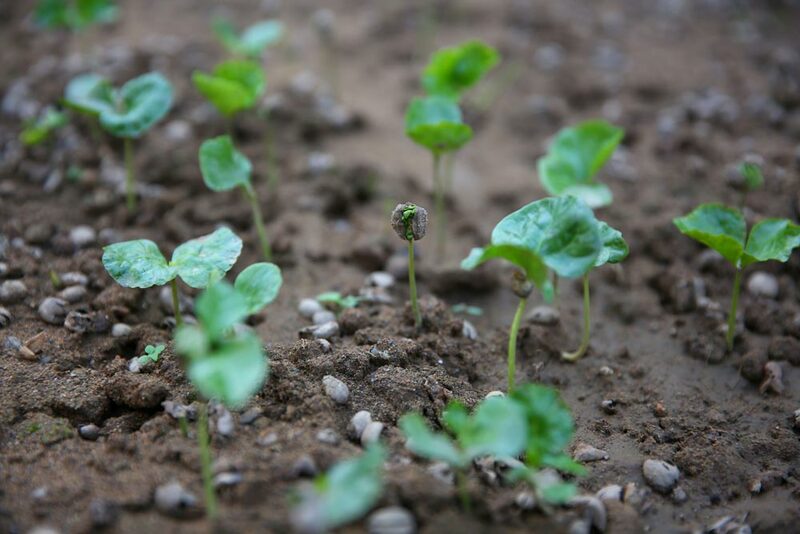 By working with long-term suppliers, Starbucks will seamlessly ensure a total of 10 million coffee tree seedlings per year are available to farmers in need. 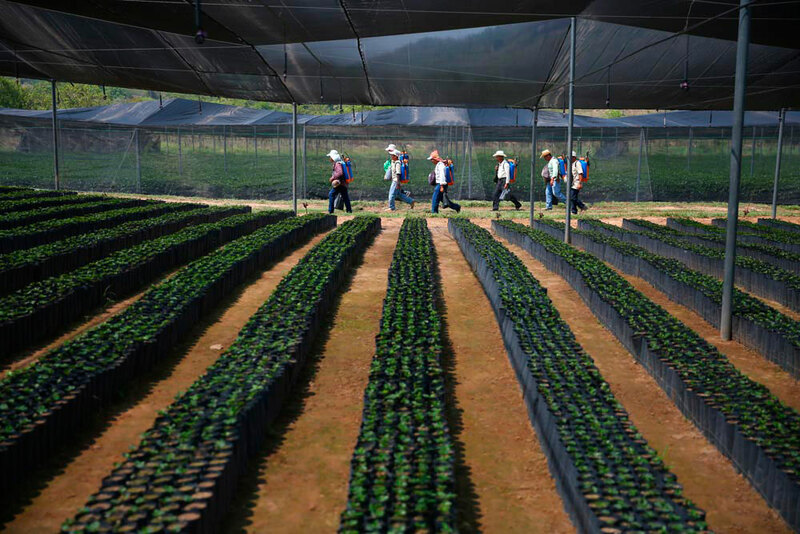 Starbucks is also helping lead an industry-wide effort to replant 1 billion coffee trees. It’s one of the first Collective Action Networks formed through the Sustainable Coffee Challenge—a coalition led by Conservation International working to make coffee the world’s first sustainable agricultural product. As a founding member of the Challenge and this Network, we will continue to share what we’ve learned through the One Tree for Every Bag program and our varietals research at Hacienda Alsacia, our coffee farm in Costa Rica. Beyond Starbucks, members of this replanting effort include coffee roasters, nonprofits, green coffee traders, government agencies and academic institutions. Just like Kevin now sees a future in coffee, we want to continue to provide that opportunity for many more farmers and their families. “I feel like we’re part of a company that has such a family culture and connection,” Fleischner said. Thousands of miles from her home, she still felt that same connection on a crisp fall evening in Guatemala, as the rich, comforting aroma of coffee and conversation filled the air. “It was a special moment,” she said. *Through the One Tree for Every Bag program, in place from September 2015 to June 2017, Starbucks is donating $0.70 to Conservation International for every bag of coffee sold from participating Starbucks® stores in the U.S. to foster thriving coffee communities. To learn more, visit conservation.org/onetree.